Protecting your office with access control systems is critical for everyone’s safety. These days, verification is essential. Having a continually expanding video surveillance integration with access control and a variety of other business systems, it seems natural that security plays a huge role in almost every single aspect of any business. As a result, technologies are continually serving much business who are looking to keep their processes working properly. In fact, more and more organizations are relying on access control systems to provide them with proper security measures to keep unauthorized people away. Now, thanks to advancements in technology and software, access control systems are becoming quite the safety feature for business to use. 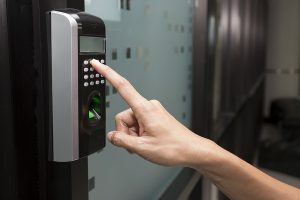 One of the key objectives of an access control system is to ensure that only authorized individuals to gain access to a secure building or facility. In fact, the strength of security networks relies upon the ability to connect credentials, which incorporate authorities, permissions, privileges, and other important considerations related to a particular identity. As a result, that one individual is the only person capable of entering or accessing certain areas of buildings or networks in a building. Actually identifying potential intruders is critical for an access control system to have sufficient results. Many if not most access control systems rely on card readers to get access to a building or network. These systems will either grant or alternatively deny access to an individual who possesses a card that does not match the qualifications or credentials to access the building or network. Emerging technology has given rise to a new way to verify access control systems-biometrics. While the overall ease of traditional card readers, keypads, and various other solutions has become exceedingly popular, biometric technologies are a lot more secure and can be found at quite reasonable price points. In fact, just take a look at a smartphone or tablet. You will likely find a fingerprinting option to gain access to the device. As a result, the future looks to have found its home in biometrics verification as a way to give extra security to access control systems. This entry was posted on Thursday, August 3rd, 2017 at 9:17 am. Both comments and pings are currently closed.